Relocation requires you to pack up your home, find a new place to live, contact utility service providers, and take other extensive steps. Many people are fortunate enough to have at least a couple of months to prepare for relocation. When you have a few months to tackle all your moving-related to-dos, you may be able to get almost all the steps completed on the weekends in your free time. Other people, however, might get caught having to move on much shorter notice. Professional moving services are a veritable necessity for many relocation projects. Unless you plan to load and unload the truck entirely on your own, you need to begin calling around to determine which moving companies have availability on your intended moving day. You may need to be flexible regarding the moving day and time in order to find a reputable moving company that can help you out. Because moving company services are reserved far in advance in many cases, this is one of the first steps that you should take after you decide where you are moving. Cheap Movers Brooklyn can help you find last minute and short notice movers in Brooklyn, making this step of your journey one of the easiest. Spring cleaning to remove unwanted items may seem like a waste of valuable time, but it is beneficial for several reasons. By removing items that you do not want or need, you simplify the packing and unpacking steps. You may also save time on moving day be reducing the number of items that need to be moved. If you intend to donate or sell some of your unwanted items, there may also be a financial benefit that you can enjoy. You should sort through your items to remove unwanted things on your own, but you can get extra help for packing and unpacking. Some moving companies offer packing assistance upon request. They may be able to complete the entire project within a day or two, depending on the size of your home. A more affordable alternative is to ask friends and family members to help. While each person may only be able to help for a few hours here and there, you may notice that packing and unpacking are much easier to do when you have a few extra sets of hands. 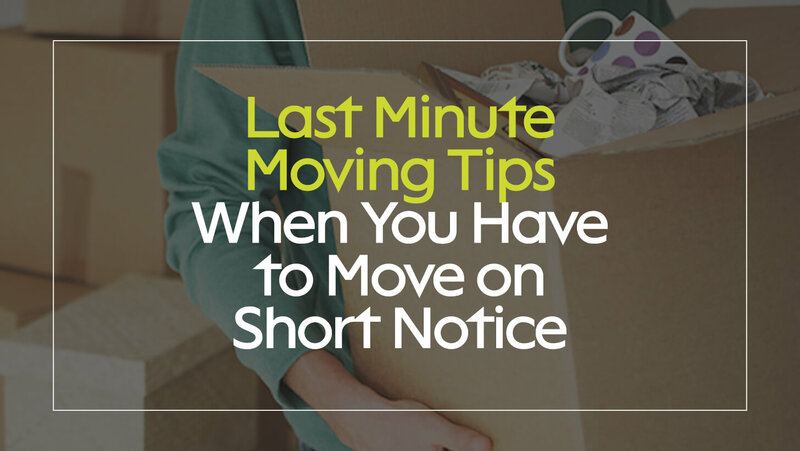 Some people can spend several hours each evening preparing for relocation on short notice. If this is not an option for you, the smart idea is to take time off of work. Taking even one or two days off of work and devoting all of this time to packing and prep work can help you to get the job done. Relocating may take many people a few months of hard work to complete, but you may not have that much time available. Put these helpful tips to use to relocate successfully at the last minute. Move Easy. Move Happy. Move with Cheap Movers Brooklyn.